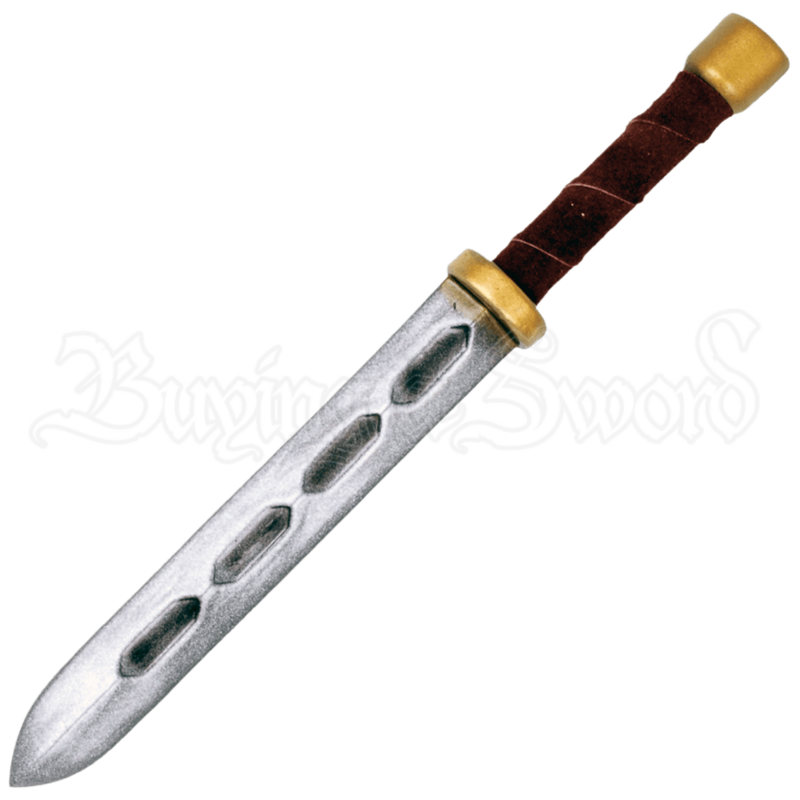 Our Stabber LARP Dagger is from our Ready for Battle line. The Ready for battle line is a less expensive line, which is still durable and made of quality foam, but is not as detailed as our other lines, making them very affordable and great for beginners or those on a small budget. This dagger features carvings down the center of the blade which have a dark finish on the inside. With the universal design, it can be used for just about any character or theme. The dagger is approximately 15.5 Inches in overall length. This measurement will vary as they are handmade items. Latex weapons do need to be maintained to a certain degree. We offer a Maintenance Silicone that can be purchased separately in the LARP Accessories section. We recommend you use the Silicone on a regular basis. It has an easy, spray on application. The silicone will keep the coating flexible and make the weapons last much longer. The maintenance silicone protects the coating from drying out and helps the weapon resist wear and tear.